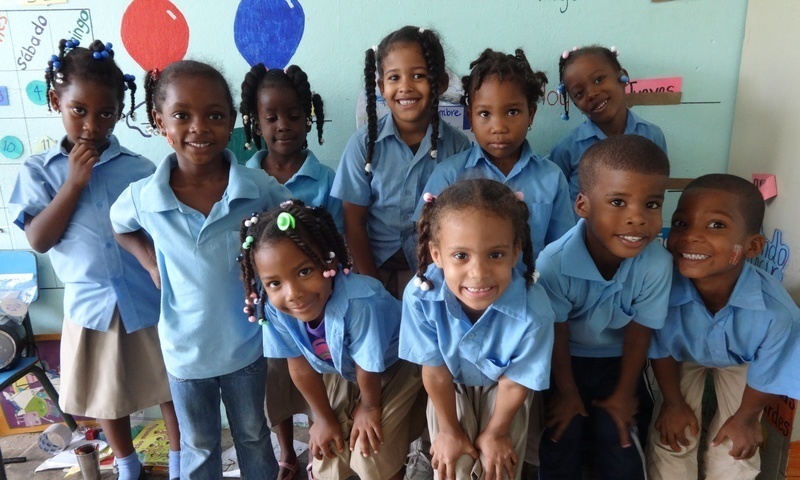 Here are the ten little bundles of fun that have arrived at the Eva Russell School in the Dominican Republic for the Pre-Kindergarten grade. All of the children come from poor families and a few of have suffered the loss of a parent. Some of them are malnourished and weak but now at the school will receive care and meals to help them gain strength and grow. Two of the new children are siblings, Jean Carlos and Janna, they both have diabetes as does their mother. Sadly, their mother does not want to take medication for her disease and was not providing medication to her children also. Thankfully now that Jean Carlos and Janna are in our care they will not only gain an education but also receive the correct nutrition and medication to keep them healthy. For the new children to have a great start to their time at the Eva Russell School we are building a new classroom especially for the Pre-Kindergarten grade which will be tailored to their education needs. We hope to finish the classroom in the next couple of months and to see these kids enjoying all it will offer. Even without this new classroom the young students are already settled, making themselves at home and are learning many new things. Read more about our work in the Dominican Republic here.